LONDON — When Adolf Hitler entered the Reich Chancellery on January 30, 1933, the cheers of the Nazi stormtroopers in Berlin were echoed in Northcliffe House, the home of Britain’s then highest-selling newspaper. The Daily Mail was not the only national daily to adopt an overly tolerant attitude towards Hitler during the 1930s, a position which reflected widespread public support for the government’s appeasement policy. But it went far further than any other newspaper in sympathizing with the Nazis and it did so at the insistence of its overweening proprietor, Harold Harmsworth, the first Viscount Rothermere. Lord Rothermere was a staunch admirer of Hitler and Mussolini, who also briefly flirted with fascism in Britain. Born 150 years ago this summer, Rothermere was also, alongside Lord Beaverbrook, the most powerful press baron during the interwar years. Rothermere launched the Daily Mail in 1896 with his elder brother, Alfred Harmsworth, who was later named Lord Northcliffe. By 1930, they owned 14 daily and Sunday newspapers, and a substantial share in three more. Rothermere’s support for Hitler and Mussolini stemmed from his deep fear and loathing of Bolshevism and the Soviet Union, against which he saw the dictators as a critical bulwark. Shortly after Mussolini came to power, Rothermere laid his cards on the table. In an article in the Mail entitled “What Europe Owes to Mussolini,” he expressed his “profound admiration” for Italy’s new leader. “In saving Italy he stopped the inroads of Bolshevism which would have left Europe in ruins… in my judgment he saved the whole Western world,” Rothermere declared. 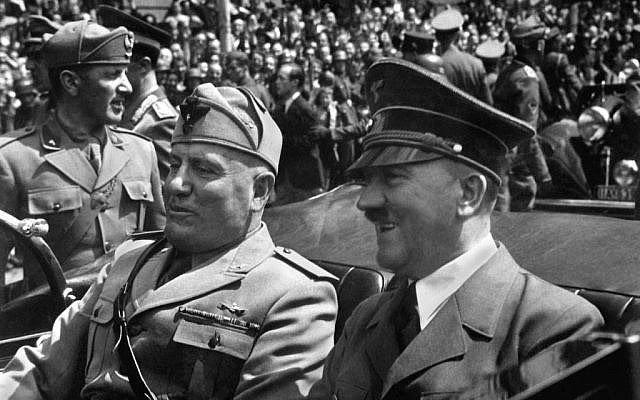 His frequent visits to Italy seemed only to further stoke Rothermere’s enthusiasm for the Duce. Rothermere initially believed that Britain was “not suited” to fascism, but a general strike in 1926 and a fear that Baldwin was displaying “the feebleness which tries to placate opposition by being more socialist than the Socialists,” led him to reappraise this view as a new decade dawned. But, as Will Wainewright describes in his book “Reporting Hitler: Rothay Reynolds and the British Press in Nazi Germany,” the Mail’s enthusiasm for the Nazis would grow as their support in Germany surged. By the 1930 election, when the Nazis’ seats in the Reichstag jumped from 12 to 107, Rothermere was a convert. Nonetheless, he also sounded a note of caution which suggested he did not fully understand the nature of the beast with which his newspaper had got into bed. Despite his former mild reservations, the press baron was also now parroting the Nazis’ anti-Semitic slurs. Germany had been “falling under the control of alien elements,” Rothermere argued. There were 20 times as many Jews in government positions than there had been before the war. 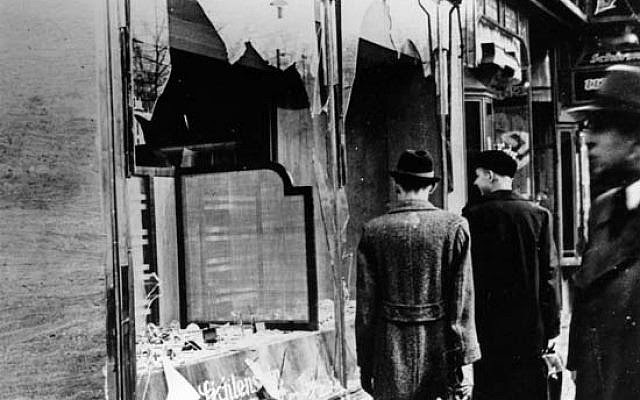 The Jews were not just a problem in Germany. The menace they posed was much more widespread, he felt. “The Jews are everywhere, controlling everything,” Rothermere wrote in private correspondence. Reynolds, who did not share Rothermere’s adoration of Hitler, was increasingly sidelined by G. Ward Price, a correspondent more ideologically in tune with his proprietor’s Nazi sympathies and more willing to do his bidding. Price soon became a favorite of Hitler and Goebbels. It wasn’t hard to see why the Mail’s fawning coverage of the Nazis so delighted the Fuhrer — the paper uncritically reported the butchery of the Night of the Long Knives. “Herr Adolf Hitler, the German Chancellor, has saved his country,” began its story on the frenzy of extrajudicial killings, and cheered the Nazis on as they trampled the provisions of the Treaty of Versailles. 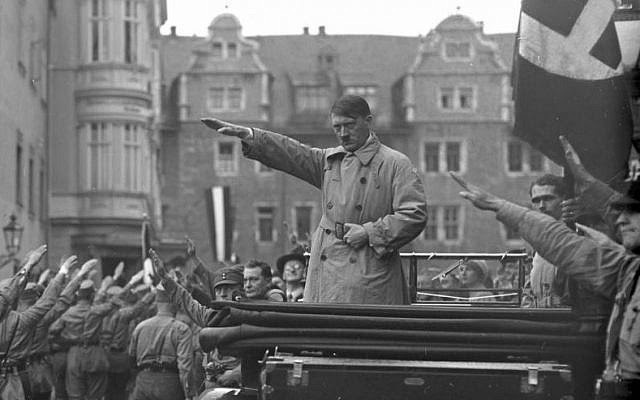 When German troops marched into the Rhineland in March 1936, the Mail suggested Hitler had “cleared the air” and warned against “Bolshevik troublemakers.” It offered a glowing report of the Anschluss two years later — penned by Price, who had hitched a ride in Hitler’s convoy as it sped towards Vienna. And the Mail showed no sympathy for the Czechs as the Nazis dismembered their country shortly thereafter. The Mail’s support for appeasement was by no means unique in the British press. The Times, for instance, was unwavering in its support of Neville Chamberlain’s policy. And other newspapers ran headlines and pieces that today cause red faces: “Judea declares war on Germany: Jews of all the world unite in action,” Beaverbook’s Daily Express headlined a story about a 1933 boycott of German goods organized by the Nazis’ overseas opponents. But only the Mail and its owner were so consistently and avowedly pro-Nazi. Rothermere met Hitler for the first time in 1933 and they met several more times and struck up a warm correspondence. Following his meetings, Rothermere believed Hitler — a “simple and unaffected man” and a “perfect gentleman” — to be “obviously sincere” in his desire for peace. “There is no man living whose promise given in regard to something of real moment I would sooner take,” he later argued. It is impossible to know whether Hitler regarded Rothermere as anything other than a useful idiot. Still, he did his best to appear sincere in his gratitude for the press magnate’s backing. When Rothermere applauded Germany’s withdrawal from the League of Nations, Hitler wrote of his appreciation — and that of “countless Germans” for his “wise and beneficial” public support. But he could never quite match Rothermere’s penchant for flattery. After the Munich agreement, Rothermere wrote to thank Hitler for the “bloodless solution” which had been reached.